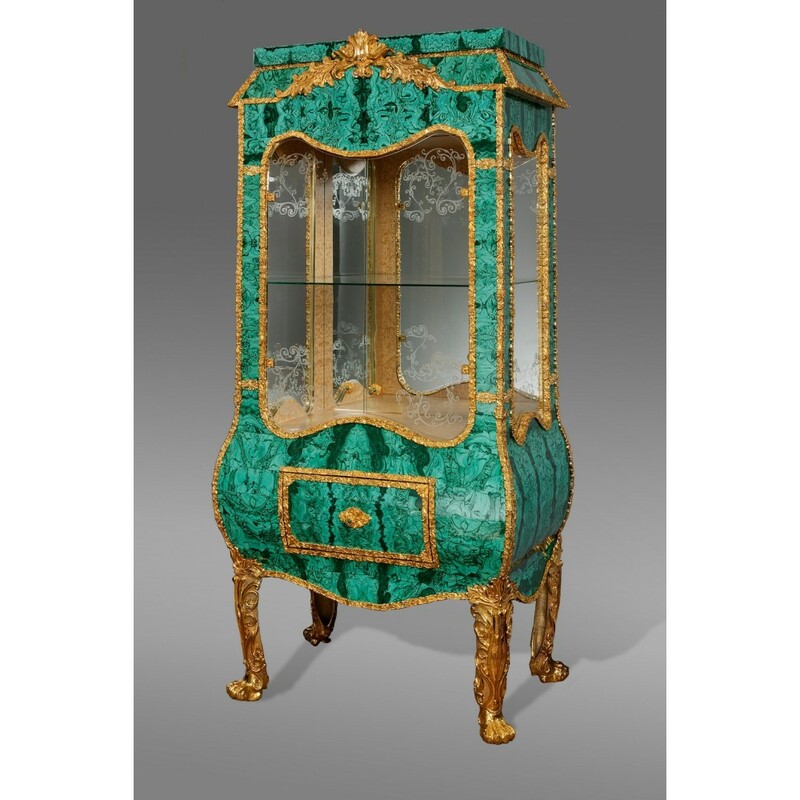 An astonishing and rich looking Rococo Display Cabinet veneered entirely with malachite and bronze. 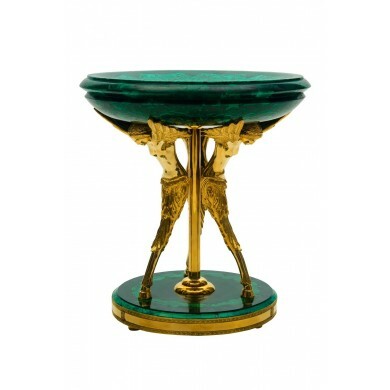 Malachite, a rare and quite extravagant semi-precious stone and this is a symbol of luxury lifestyle and power, associated with Sole-Ruling of all Empire and the Winter Palace. 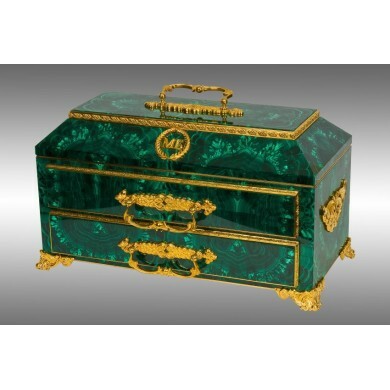 In the 18th and 19th centuries malachite was popular with Russian Czars and aristocrats, they often used it to decorate their palaces. Everyone wants furniture pieces that convey who they are. Somebody can spend months searching for the perfect piece of furniture that reflects their style and status. This is it. You may order this Display Cabinet here. Description: This square-shaped beautiful display cabinet with straight glass side panels and enclosing one clear glass shelve inside is ready to show off some of your fine collections. The cabinet has one smooth running, roomy drawer with pull-out stop, with elegant circular bronze handle. Technique: Bronze decorations casting/turning/ hire/stamping/polishing; Malachite: crude stone carving/ slicing, forming jigsaw puzzles, fitting, polishing, figurative carving. 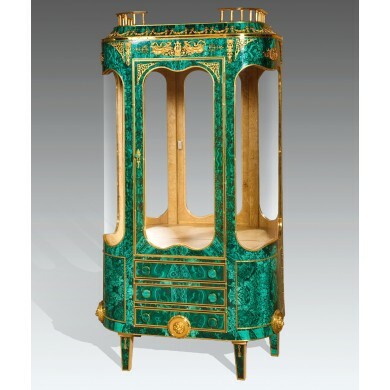 Manufacturing lead time: 7 months-including total time required to manufacture this one Rococo Malachite Bronze Display Cabinet, including order negotiations, agreement preparations, entering into an agreement, cooling off period, design time, setup time, production sequence and schedule, inspection time, etc. For make-to-order products, it is the time taken from release of an order to production and shipment/delivery. We only start a manufacturing and an assembly process after receiving customer's orders and advance payment and then progressive payments (Part payments made to a manufacturer at different stages as the work (or delivery) progresses, instead of making one full payment on the completion.) Please, feel free to ask questions, additional photos.